This is a crazy, crazy annoying bug. Basically, when the Crystal Windows Form Viewer is added, the auto-generated code adds two lines that will overwrite the selection formula!!! Double-click on Form1.Designer.vb|cs to show its code. In the InitializeComponent method, you will find code where the CrystalReportViewer1 properties are set. So now I got a couple of ESX servers, next up, how to get a working vcenter running on them. Hmm, looks like if I install vSphere Client on my desktop and open up all the ports I should be able to connect to one of the ESXi machines and then import in an image of a vcenter server… Wish me luck! I then went to Deploy OVF template, and choose the downloaded OVF file from vmware site. OK… scratch that. I think an easier method will be to just create a vcenter as a standalone VM, I will tackle the nested vcenter another day. One tip, after configging the port forwarding, you will need to use https://yourVcenterIP:5480 in order to access the web console. JUNOS Command Line interface allows the user to export the configuration file into an FTP server and to import it back to the switch. The information below describes the steps to backup and restore JUNOS configuration file on FTP server. Backup configuration file on FTP. The following configuration sample shows how to backup the JUNOS configuration file on FTP server. On every commit applied on CLI, the EX switch will transfer a copy of the configuration file to an ASCII file on FTP server. The filename created on the FTP server contains hostname, date and time signature. Now that we got some AS2 action going on I needed to figure out how to handle some incoming purchase orders. With a little bit of poking around I was able to get it to go. 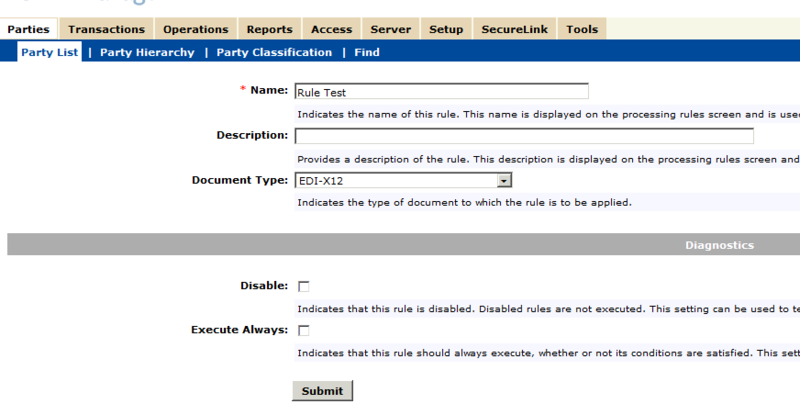 So now you have parties setup, but now we need to instruct BizLink what to do with the files when it gets them! The simplest thing to do is under transports, set a file copy (upload) on your server owner, set the file path and the format of how you want the file named and you will be good to go. 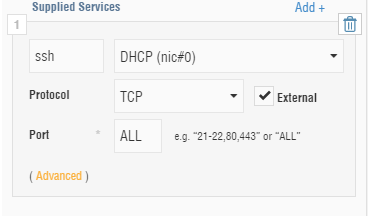 That will work, but what if you want say all 810’s from a certain partner to go to a certain directory? In this case create another File Copy (Upload) rename it to say Export Walmart 810 and then set its export folder to a 810 walmart specific one. That’s all nice and dandy but what actually tells it to use that particular export? The processing rules of course! First give it a name. Then you get to set the conditions they can either be AND or they can be OR conditions. We want an AND so both conditions evaluate as true. We set the Sender Qualifier + Id to match our sender ID (in the ISA) and the we set the Transaction_IdCode to = 810. Ok, now we need to tell it an action to do when the conditions are met. The first action will send back a 997 if requested and the second is for the routing. If we looking into the routing rule it is simple enough, give it a name, and then select a transport. There you have it, when the doc matches it will get exported to the correct folder. Next we will mess with some scripts, until next time. I recently started messing with OpenSim. Such a fascinating piece of software! My kids have gotten quite the kick as I have been building virtual worlds around them. Next on my agenda was the ability to move\change\etc… objects externally somehow. That is where Dispatcher comes in. So, I first needed to get dispatcher up and running. You will need to do some configing before anything will work.